Keeping your hands warm in winter can be a challenge as they can get cold easily and still need to be functional to shift, brake, and handle your bike. Regular gloves or mittens that are made more just to keep warm are often times going to be too bulky along with other drawbacks that makes riding in the cold even more uncomfortable. Finding the right winter cycling gloves for the conditions you’re riding in will keep your paws toasty throughout the ride. The first thing to determine in choosing winter cycling gloves is know what weather you are going to be wearing them in. Generally a glove has a window of ten or so degrees before it becomes uncomfortably warm or cold. You should have a glove for each of those ranges depending on where the majority of your riding falls within. As you get into the fifties, if that’s winter in your area, you are going to want a thin knit glove such as the DeFeet Duraglove-Wool . This glove is tightly knit so is relatively small and can easily fit in your pockets when the temperature do rise but when it starts to dip they’ll keep your hands warm down to around fifty degrees and maybe a little less depending upon your individual blood flow levels. With temperatures firmly in the lower fifties and dipping into the forties, you are going to want a winter cycling glove that has a bit more insulation as well as wind protection. The insulation is going to provide a bit of warmth while the windproof outer is going to keep the wind from blowing through the glove to your hand robbing it of all its heat. A good option for this is the Garneau-Super Prestige Cycling Glove . This glove is nice because it has a windproof cover that pulls over your fingers in two parts to preserve functionality. As the temperature warms, this cover can be tucked back into a crafty little sleeve on the back of your hand allowing you to have all five fingers again. These are also still small enough to tuck in a pocket if needed. The second mid-weight category is lower forties into the thirties. This is an area where you’re positively going to need a good bit of insulation as well as windproof material to stay warm. As you get to this temperature also, any amount of rain is going to make you very cold so having a waterproof glove as well will give you some added warmth but with some drawbacks. With windproof material, the glove can still breathe enough to not cause your hands to become clammy. With a waterproof glove however, moisture cannot get in nor out. As your hands warm and start to sweat they can start to get a bit clammy and if you don’t have enough insulation, cold, if they are not breathable. Fortunately some gloves give you the best of both worlds, waterproof and breathable. The Sealskin Brecon XP Glove gives you enough insulation to keep your hands warm while dry also if it does begin to rain. As the temperature dips to the freezing mark and below, you are going to need winter cycling gloves like the second mid-weight option just with more insulation. As you get to this temperature and below, changes in temperature throughout a ride are much more pronounced such as going up a climb or down a descent. With a heavy weight glove, a good option, especially if it is on the colder side of its range, is to wear a liner glove. 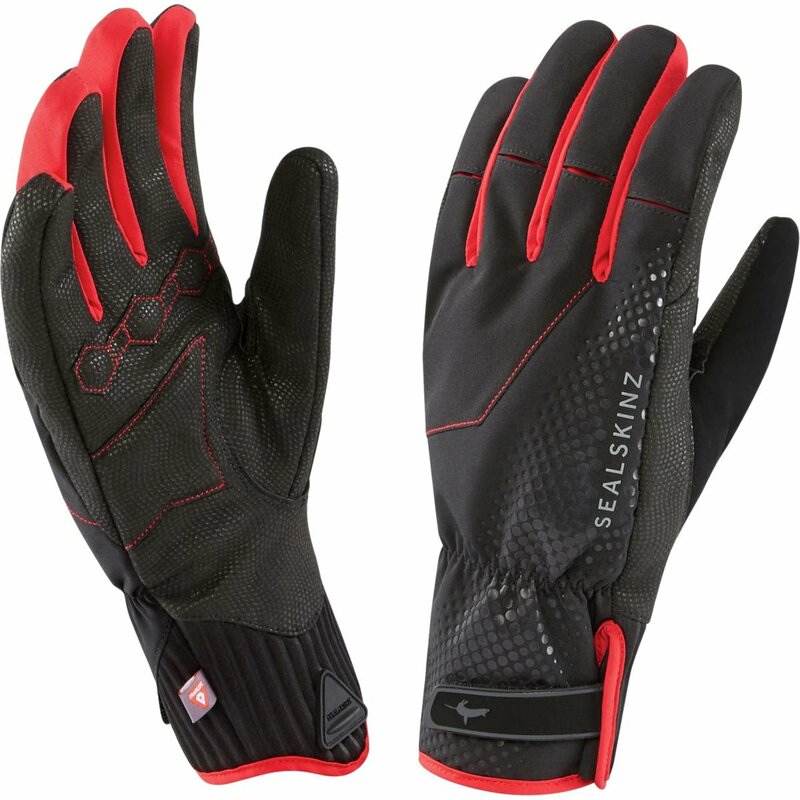 A thin silk glove such as the Terramar Termalsilk Glove Liner will allow you to take your outer glove off and stuff it up the front or back or your jersey while going up a longer climb. 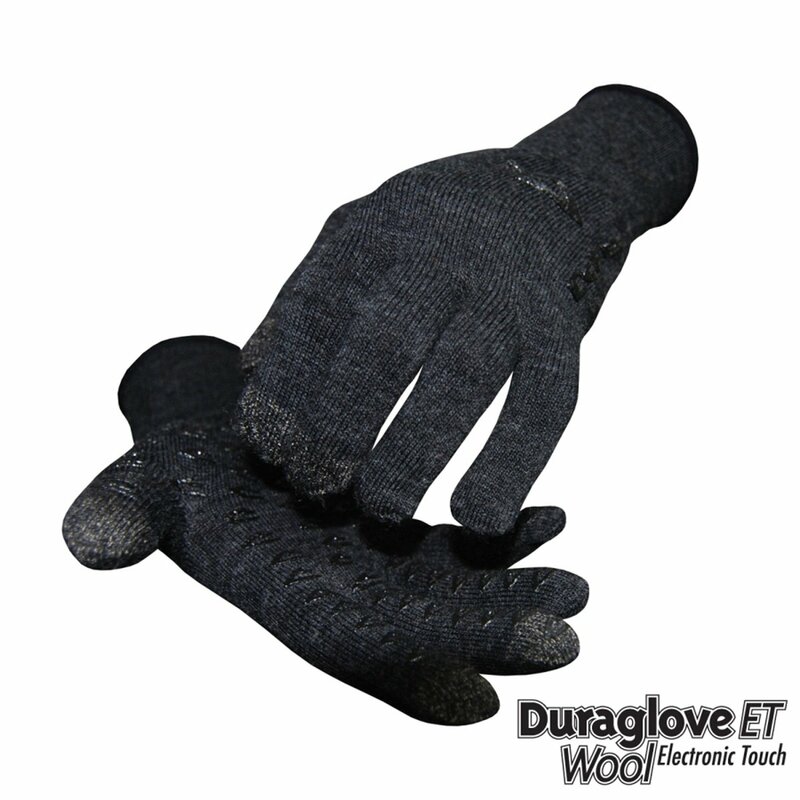 This will still keep your hands warm but prevent them from overheating and sweating out your outer glove. You will want a good mitten to wear over liner gloves when you hit the top of a climb to then stay warm on the chilly descent. (And a side note; keep stops at the top of a climb to a minimum as going down is going to chill you so you want as much heat as possible in you before you hit the descent, namely right after you finish climbing.) 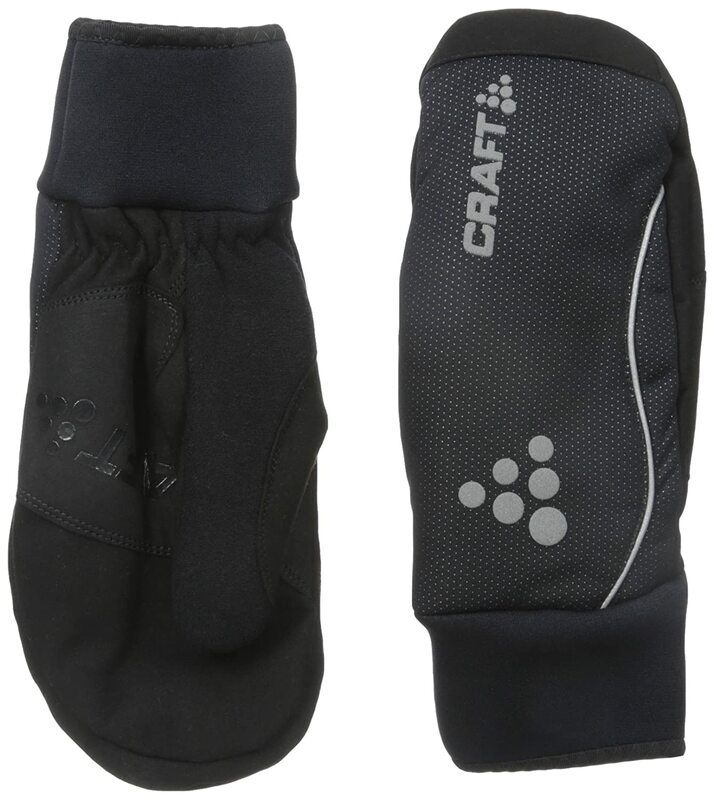 A good glove for temperatures below freezing but not absurdly cold is the Craft Touring Insulated Bike and Training Glove. This mitten also has the added benefit of neoprene on the cuff to keep warmth in. As the temperature dips to the lower twenties and teens you are going to need a substantial glove to keep you warm. 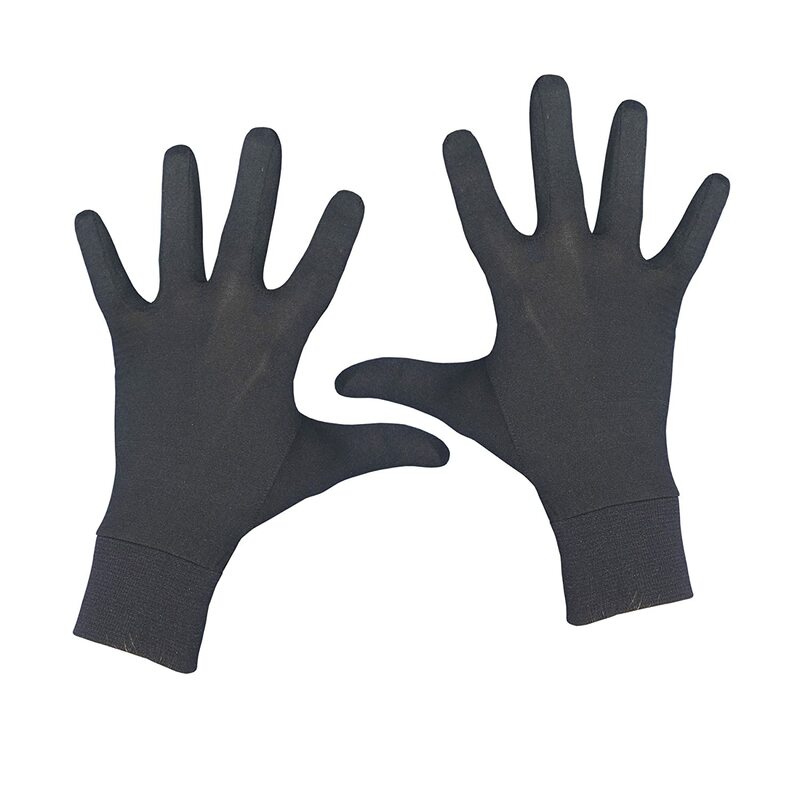 At this temperature and lower, gloves have and increasingly difficult time of keeping your hands warm. 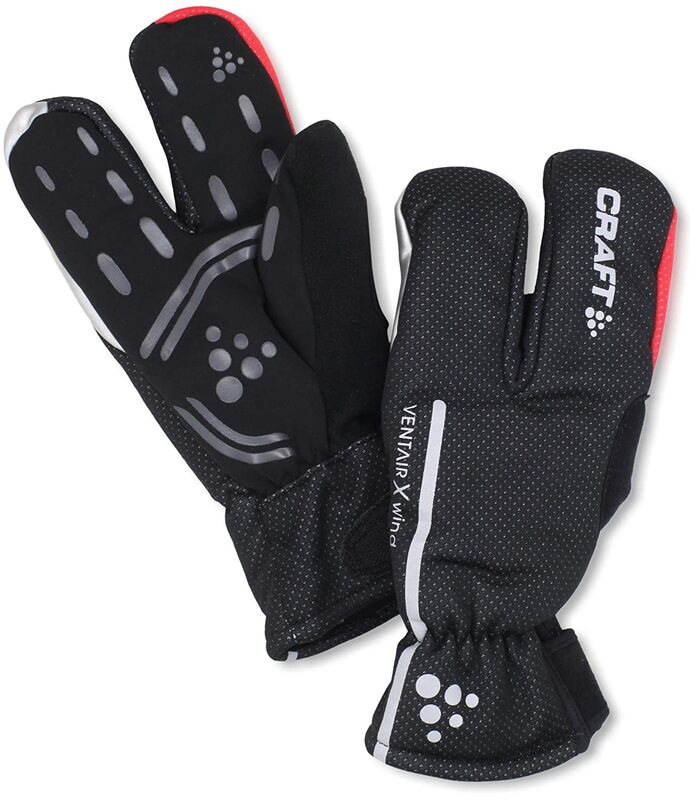 The Craft Siberian Split Finger Wind and Waterproof Bike Glove will keep most of your hands warm. If you normally have cold hands or the temperature dips below this area, it’s going to be difficult to keep your hands warm with a cycling specific glove or mitten. You’re going to need a mitten more catered to skiing as the insulation and windproof material is what is going to keep you warm but it’s going to impact functionality a bit but that’s winter riding. One thing that a lot of people don’t think you can do is shift an indexed shifter (Shimano or Sram) with large mittens. You can’t do it quite as quick but it’s still functional. Having a mitten that’s waterproof at this temperature is not needed as water isn’t water at this temperature, it’s snow and ice. One added feature to look for is a mitten that has cuffs that go up your arm a descent amount as this will add in keeping you warm as a whole. Riding in winter is a different challenge and with the right preparation can be a season that is actually looked forward to. Having the right gear and good winter cycling gloves for the task at hand is going to not only make it more enjoyable but also pretty cool in that you’re doing something that’s normally reserved for the warmer months of the year in winter. It’s kind of like you’re getting away with something that you shouldn’t be doing. And with any slippery roads you have enough gear on so hopefully in the event of a fall, you just slide without injury, hopefully, if you do it right. 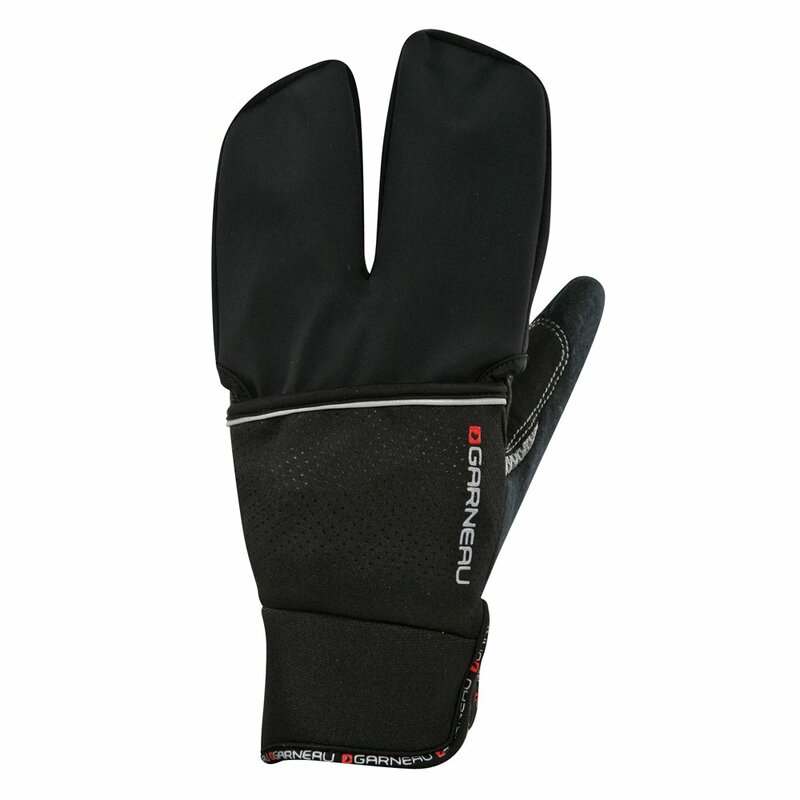 Keep the rubber side down and stay warm this winter with the right winter cycling gloves for the weather at hand.